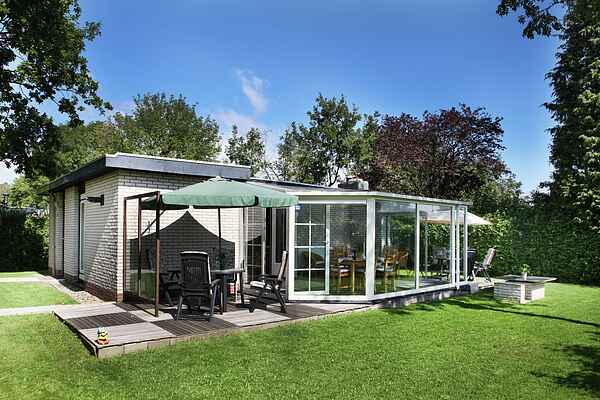 Comfortably decorated detached bungalow on a former holiday park. The house has a private garden with 2 terraces. The Veerse Meer is walking distance from the holiday home. The North Sea beach is 8 km from the house and this was crowned the most beautiful beach in the Netherlands in 2012. The Oosterschelde nature reserve is also not far away, and here you can even see seals. The flood barrier (Neeltje Jans) is located 8 km away and is worth a visit. The house is located on the island of Noord Beveland and is surrounded by the North Sea, the Veerse Meer and the Oosterschelde. So there is plenty of opportunity to enjoy the water. From kite surfing to dinghy sailing, water skiing to sailing and from diving to fishing. You can enjoy all aspects of the island also by hiking or by bike. Almost everywhere are views over both the landscape and the large surrounding bodies of water. Wissenkerke with its historical streets, is a nice place to visit, Kortgene with a historical walking trail through the centre, and Kamperland, the heart of Noord Beveland are also nice places to visit. It's also a lovely place here for real bon vivants, the region has lots of local products that are sold everywhere.